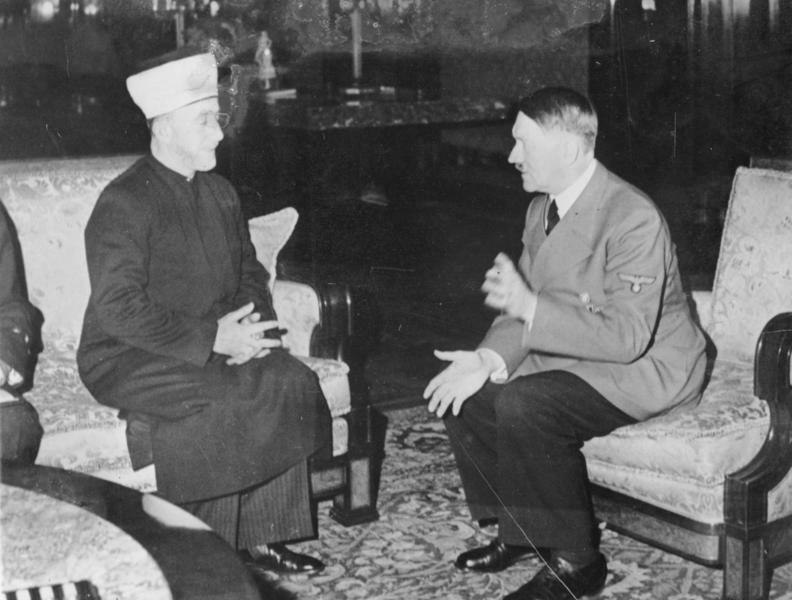 This is a historical photo of Adolph Hitler in a casual conversation with Amin al-Husseini, the grand mufti of Jerusalem at the time. It is a famous historical photo that can be found on Wikipedia, the US Holocaust Memorial Museum website, Time Magazine, the National Library of Israel etc. In a recent video David Wood stated that he had been banned on Facebook for sharing this photo (the interesting part starts at position 2:18). Frankly, FB's attempt to censor historical truth is appaling. Does truth hurt so much that they don't want their users to make the connection between Nazism and Islamism...? Shame on Facebook!!! Western politics have certainly paved the way for random censorship, but the actual decision what is deemed "hate speech" lies with Facebook. And since FB is closely allied, for example, with the Pakistani government, all censorship is sharia compliant.